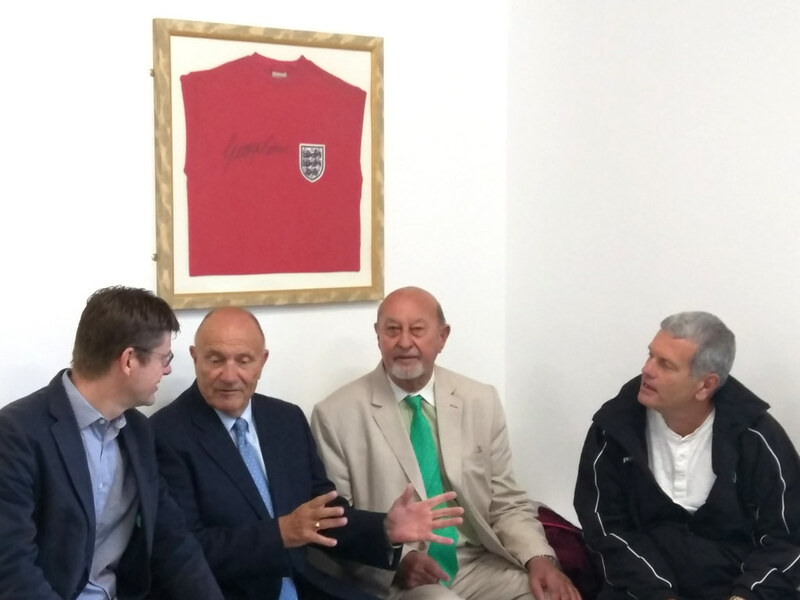 World Cup winning footballer George Cohen MBE opened the Langton Green Sports Pavilion on Saturday, along with Lord Pendry, President of the Football Foundation and Greg Clark MP. 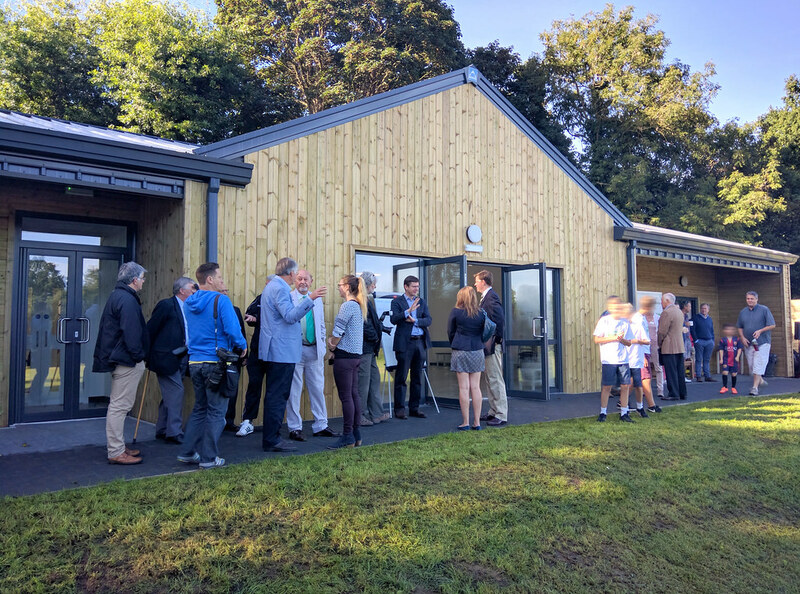 The morning marked the start of the mini-soccer season and hundreds of children and parents joined the VIP’s for the grand opening of the sports pavilion. 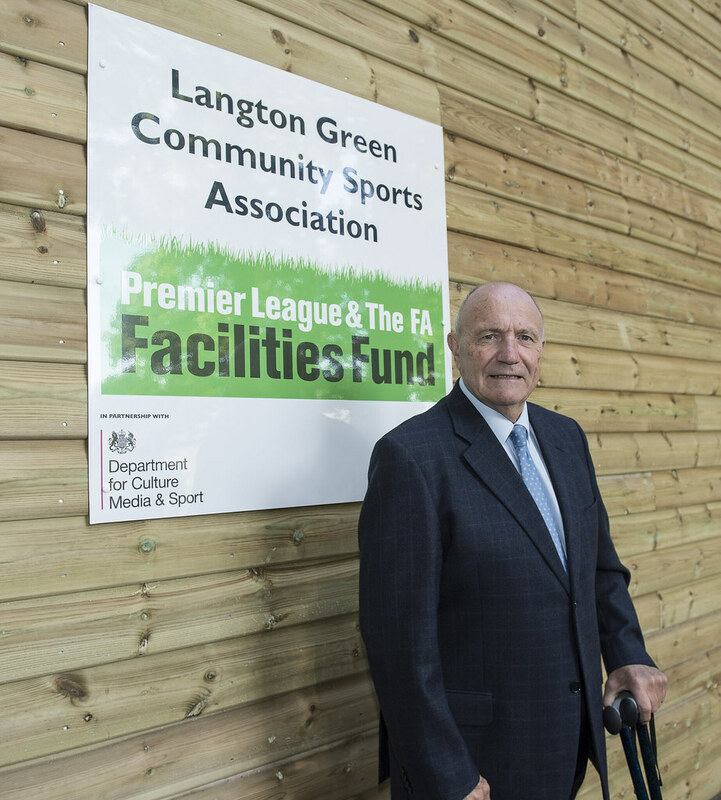 When Langton Green Community Sports Association (LGCSA) approached Directline Structures, planning permission had been granted for the remodeling and extension of the existing ageing pavilion. Instead of extending, Directline Structures could provide a completely new pavilion to outstanding standards for the same cost. 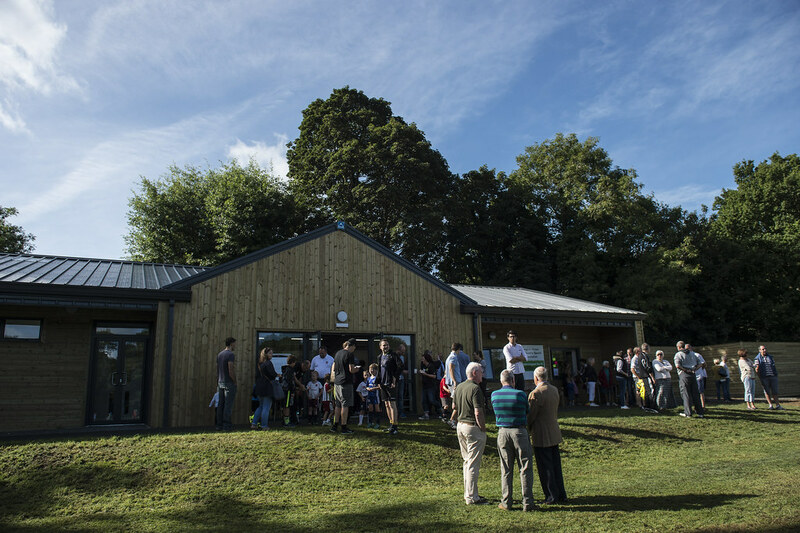 Through team work and collaboration, the new design was granted planning permission and work on site started in earnest in January 2016. 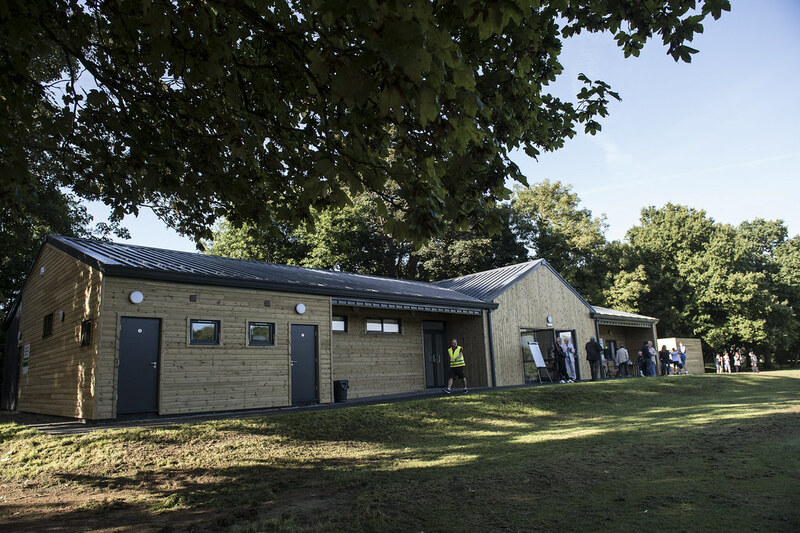 Now officially opened the football pavilion, which was part funded by the Football Foundation, provides high quality changing facilities including 2 full size changing rooms, each with 4 showers and 2 toilets. 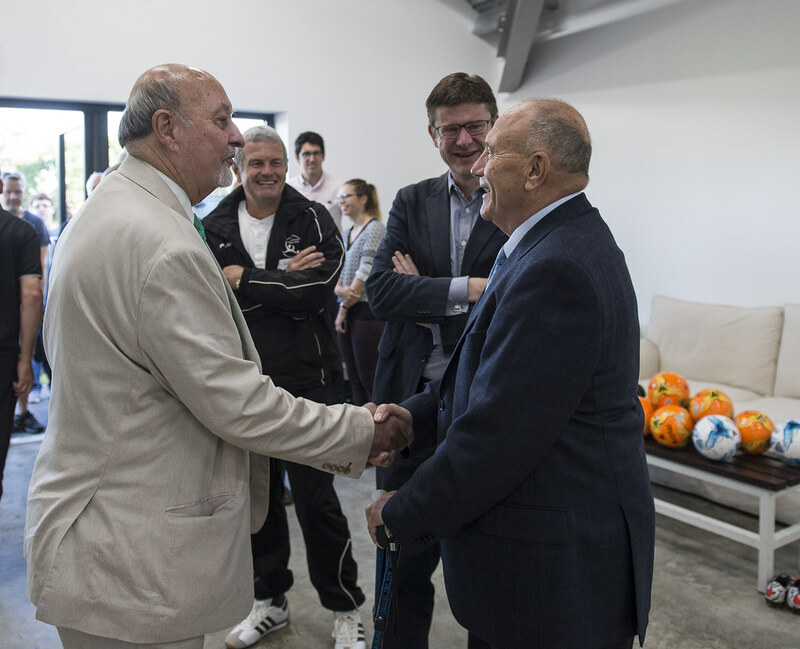 There are 2 bag rooms, 2 officials’ changing rooms and additional toilets accessed from outside – perfect for match days. In the large function area, there are toilets, an office, kitchen, and store. 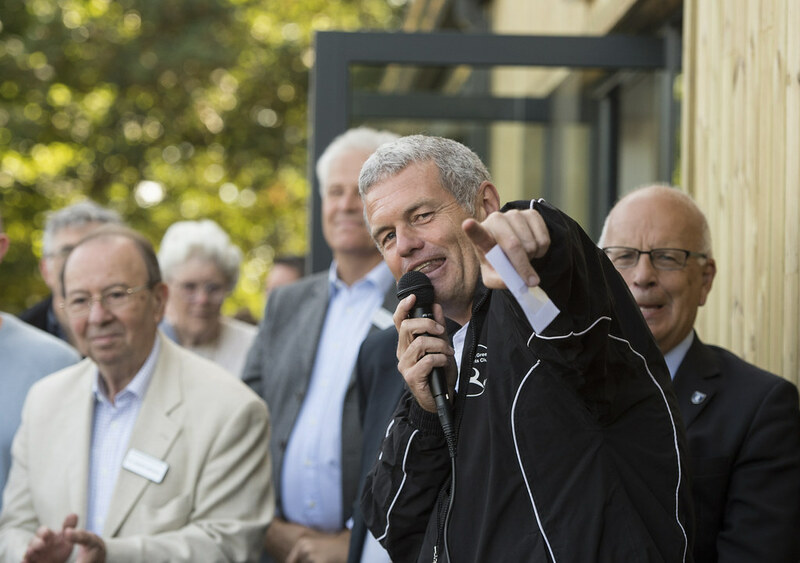 This allows the LGCSA to sell hot snacks and food during football matches, and the community to make use of the large function room for catered events. 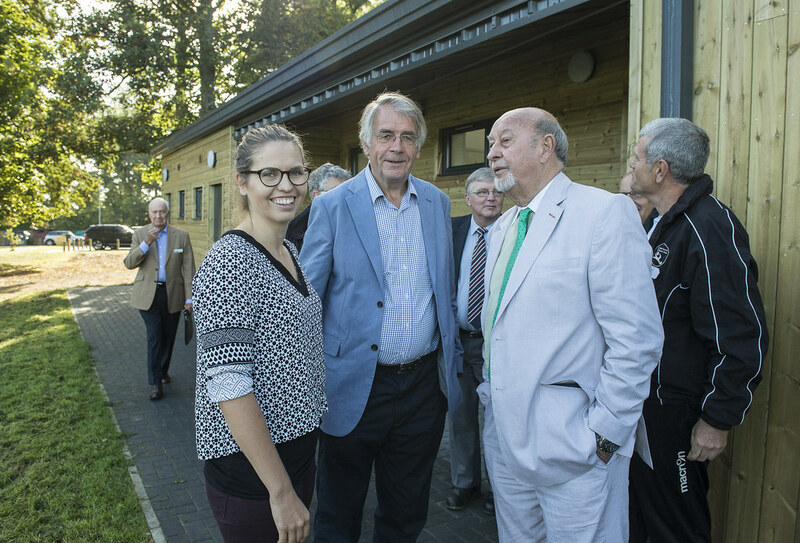 The building and the design were praised by guests, with Lord Pendry remarking it was architecturally the most impressive of all the sports pavilions he had opened. 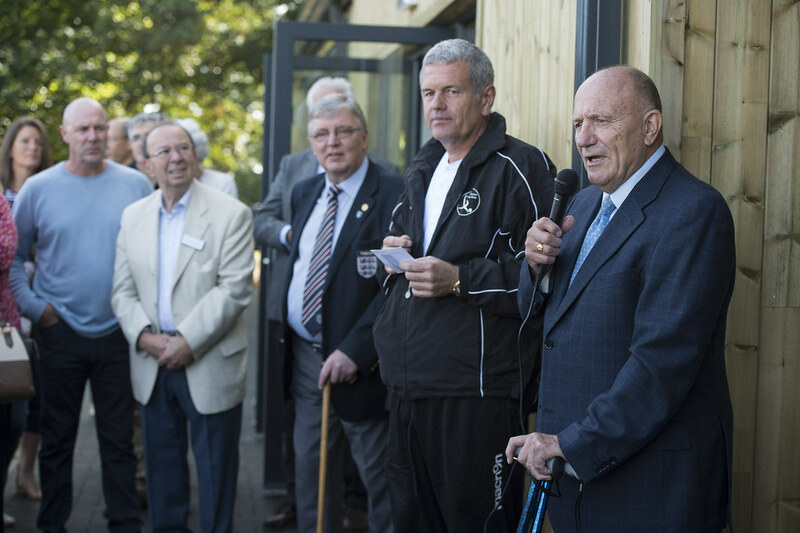 Older members commented on the “fantastic facilities” that they never had access to as children. 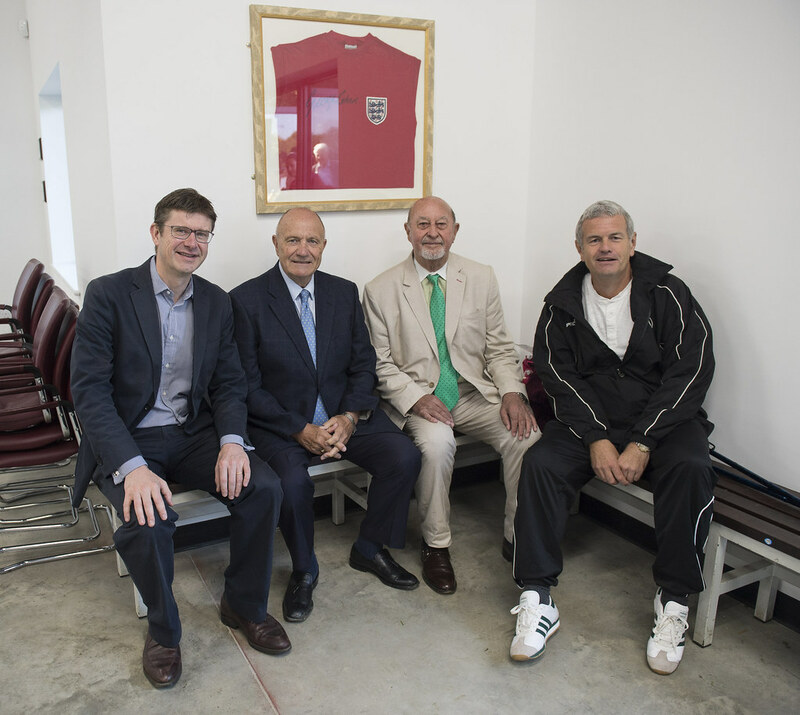 While Greg Clark encouraged the young players there to make the most out of the building and maybe they too could go on to become world cup winning footballers. Directline Structures specialise in steel frame construction, providing complete Design and Build solutions for bespoke buildings.